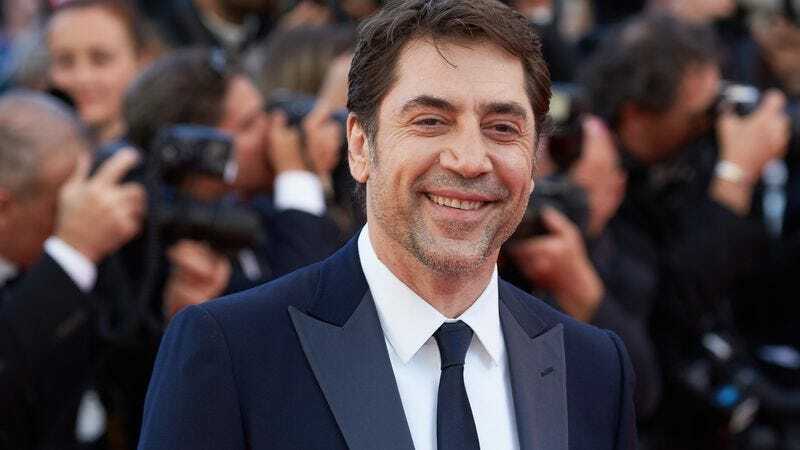 Bardem was originally offered the part of Dr. Jekyll in the 2017 Tom Cruise-led potential blockbuster The Mummy, according to Variety. He declined, though, so Russell Crowe stepped into the role for that film, and probably for subsequent UMCU installments, including at least one specifically about him and his alter ego, Mr. Hyde. Meanwhile, Bardem—should he officially sign on—will now be playing either Frankenstein’s monster or its creator in a unspecified movie that’s not officially about either Frankenstein’s monster or its creator, before eventually (probably) taking one of the three leads in a movie that is about Frankenstein’s monster, its creator, and its bride. Also, you should know that Johnny Depp is probably going to be playing the Invisible Man, possibly in a movie about the Wolf-Man (which does not currently have a lead), but eventually in a movie about the Invisible Man. The Universal Monsters Cinematic Universe is really shaping up to be something special.